Parents are charged with taking care of their children and even sponsoring their education. However, some circumstances can cause a change in the order of things. A number of people desire sound education and are willing to do anything to get it. Rabiu Ahmad who is now a youth corp member graduated from the department of linguistics and foreign languages at Bayero University Kano. He studied Arabic Linguistics at the university. 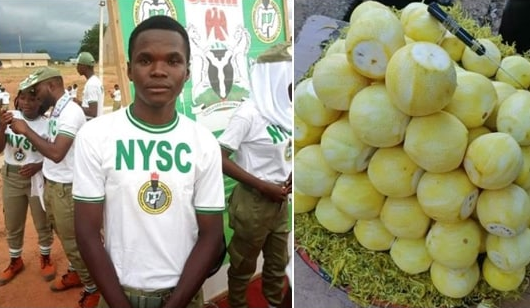 The youth corps member has served as an inspiration to many and Nigerians on social media are impressed to see is determination eventually paid off. We wish him well.